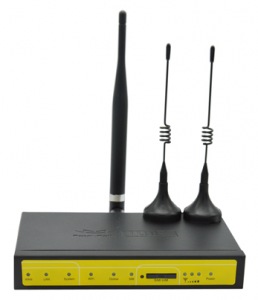 Dual sim 4G GPS router is a kind of cellular terminal device that provides data transfer function by public cellular network and GPS. It supports RS232 (or RS485/RS422), Ethernet and WIFI port that can conveniently and transparently connect one device to a cellular network, allowing you to connect to your existing serial, Ethernet and WIFI devices with only basic configuration and also support GPS function. It has been widely used on M2M fields, such as intelligent transportation, smart grid, industrial automation, telemetry, finance, POS, water supply, environment protection and so on. Support multiple WAN access methods, including static ip, DHCP, L2TP, PPTP,PPPOE,3G/HSPA/4G. Schedule Reboot, Schedule Online and Offline,etc. Support local and remote firmware upgrade,import and export configure file. Support mulitiple DDNS provider service. WIFI support 802.11b/g/n. support AP, client, Adhoc, Repeater, Repeater Bridge and WDS(optional) mode. 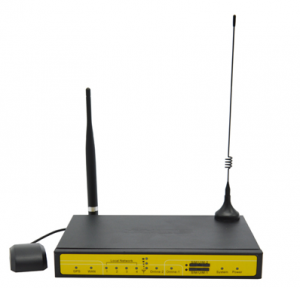 WIFI support WEP,WPA,WPA2 encryption,Support RADIUS authentication and MAC address filter. Support DHCP server and client, firewall, NAT, DMZ host , URL block, QoS, ttraff,statistics, real time link speed statistics etc. Full protocol support , such as TCP/IP, UDP, ICMP, SMTP, HTTP, POP3, OICQ, TELNET, FTP, SNMP, SSHD, etc. 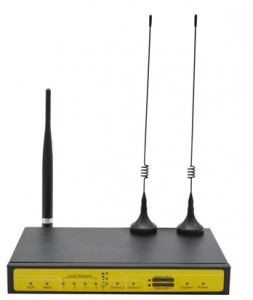 LTE/LTE ROUTER is a kind of cellular terminal device that provides data transfer function by public cellular network. And it supports double link backup between LTE and LTE. It supports RS232 (or RS485/RS422), Ethernet and WIFI port that can conveniently and transparently connect one device to a cellular network, allowing you to connect to your existing serial, Ethernet and WIFI devices with only basic configuration. Indicator “Power”, “System”, “Online-1”, “Online-2″, ” Local Network “, “WAN”, “WIFI”, ” Signal Strength”. Support AP, client, Repeater, Repeater Bridge mode. This entry was posted in Products, Wireless and tagged 3G 4G LTE WCDMA Dual SIM WIFI ROUTER, 4G with WiFi Router. Bookmark the permalink.